For lenses that focus out at long distances, to verify ability to focusing on distant objects you will need a target system that produces an image that is at or beyond the hyperfocal distance of your lens. You can use our chartfinder utility to determine the size of your imaging plane at a distance based on your lens’ angular field of view. It is possible to assemble large test chart systems, but the process of producing, mounting and protecting a large test chart, and achieving uniform glare-free lighting becomes more costly and complicated as you increase your chart size. Indoor tests require long dark spaces, outdoor tests are complicated by atmospheric distortion and durability of the target. 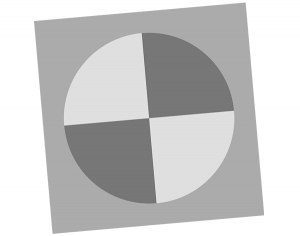 As your desired test distance becomes longer, filling your camera’s field of view with a single target such as eSFR ISO, SFRplus or Checkerboard can become prohibitive. The SFRreg Imatest Analysis module and SFRreg test chart enable a flexible target that can be automatically detected and rapidly analyzed by Imatest software. if you are interested in these sort of test targets, contact our charts department at charts@imatest.com or submit our chart finder form with details about your camera system. A collimator lens (also known as a close-up lens or relay lens) can change the distance at which an object appears. 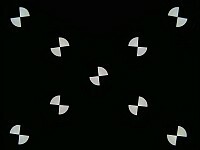 These optics along small high-precision test targets and light sources can produce a virtual image which appears as if it is at a long distance. Imatest offers a range of collimator products which can be can be configured to test fields of view between 1° and 180°. Precisely aligning the test chart with the collimator and the unit under test so that all parts are aligned on a single optical axis becomes the challenge with this solution. Any lens system will focus best in the center, and the on and off-axis quality of the conversion lens affects the measurements that you obtain. This means that the measurements you take, and how they are compared to any of the pass/fail requirements will need to be adjusted to consider the loss of resolution due to the collimator. In order to verify long-range focusing, collimators are key components of manufacturing equipment which operates in a factory environment. Imatest and our network of partner companies have the optomechanical engineering expertise to provide you with a complete testing system that fits your product. For wide FoV lenses, it becomes more difficult to cover all the locations on your lens which you are interested in testing. 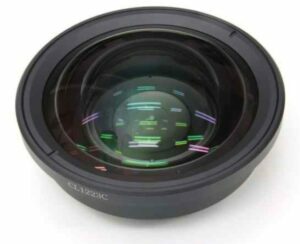 So several collimators may be used that are directed into your lens.